Thanks for the shout out Danieldinho. 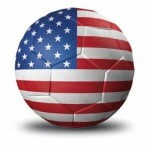 I’ll be interested in what you guys think about our USA Squad Preview when we get around to writing it. Honduras and Mexico just completed so we must be close. We are @a2bworldcup on Twitter and I’m @dallan. Dave, so seriously … hook me up … what are some sites I need to be sure to check out? The best sites to look for are the main UK newspaper sites – The Guardian probably the best.